Our continuous casting/ingot casting machines are available with different moulds to suit many applications. Manufactured as per client's specifications and requirements, our machine is superior in quality efficiency. 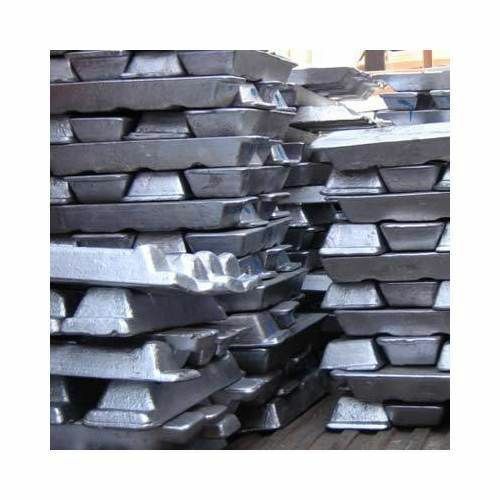 These are used to melt and cast in continuous lengths a wide range of Aluminium, Aluminium alloy, copper and copper-based alloys. Manufacturer & Exporter of Petcoke Fired Aluminum Melting Furnace. We offer highly efficient Petcoke fired aluminium melting furnace to save the running cost of the fuel from 20-60 % less comparison with Oil(HSD, LDO, FO) , Gas (LPG , NG ) and Electric type furnace . The Pet coke can also be used in the melting of Non Ferrous metal like Zinc, Brass, Copper, Lead etc. Petcoke can be a good replacement of coal/lignite. It can be used in blend form along with coal/lignite or 100% in AFBC/CFBC boilers. Ash content in Petcoke is much lower than coal/lignite. Hence particulate emissions are always lower as compared to coal. Cocking is a thermal cracking process characterized by long residence time and the production of petroleum coke (Petcoke), a heavy carbon residue. Petcoke is produced by thermal cracking of vacuum residue that is produced from crude oil. In a petroleum refinery, atmospheric and vacuum distillation processes remove from the crude the oil the components that boil up to about 500oC. The distillation process separates the lighter part of the crude oil into fractions which are then processed into useful refined products such as LPG, petrol, kerosene, diesel, etc. The part of the crude oil which does not boil off during the distillation process even under vacuum is known as the vacuum reside. The vacuum residue consists of heavy, viscous, complex hydrocarbon molecules. The coking process converts the vacuum residue into gas, liquid and solid products. In delayed coking, the heavy feedstock is heated in a tube still and pumped as rapidly as possible to insulated drums where it the large molecules are cracked into smaller molecules and residue, producing gas, liquid products and coke. The term 'delayed' comes from the delay between heating and coking. As coke buiilds up in the drum, the lighter products of cracking are recovered as overhead vapours and are taken to a fractionator for separation into various products. Petcoke yield is mainly dependent on the carbon content of the feedstock, while the structural quality of the Petcoke is influenced chiefly by the type of feed, i.e., virgin crude or cracked products. Fuel grade Petcoke is produced from vacuum residues that have high sulfur contents. High sulphur Petcoke is used as fuel whereas low sulphur Petocoke is used in producing anodes. Fuel grade Petcoke generally replaces iignite and coal.